A first look at the WWII inter-racial drama. Hot on the heels of A United Kingdom, writer-director Amma Asante returns with another historical drama of inter-racial romance. Where Hands Touch joins the crop of upcoming WWII movies in telling the tale of the forbidden relationship between a Hitler Youth member (George McKay) and his mixed-race lover (Amandla Stenberg). Abbie Cornish, Christopher Eccleston and Tom Sweet also star. 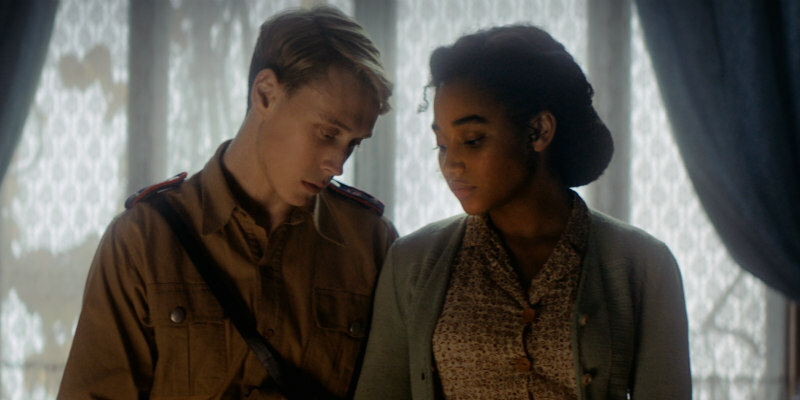 Germany 1944: 15-year old Leyna (Amandla Stenberg), daughter of a white German mother and a black father meets Lutz (George MacKay), the son of a prominent SS officer, and a member of the Hitler Youth – compulsory for all Aryan boys since 1936. They fall helplessly in love, putting their lives at risk as all around them the persecution of Jews and those deemed 'non-pure' slowly unfolds. Does their love stand a chance amidst violence and hatred?